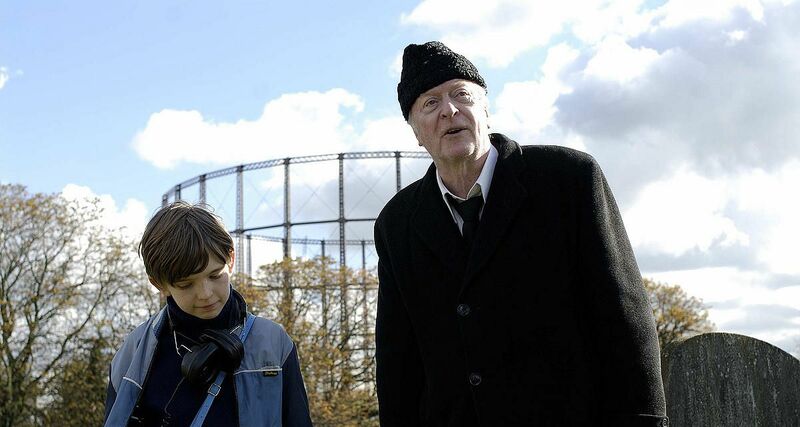 It’s a testament to Michael Caine that Is Anybody There?, a squishy drama about the friendship between an unhappy young boy and a regretful old man, is even sporadically palatable. Caine’s deftness at simultaneously evoking remorse and anger, surliness, and sweetness, goes a small way toward alleviating the schmaltz of John Crowley’s film, which often wants to be taken seriously, only to then revel in broad, dim humor that devalues any profound pathos Caine’s portrait of elderly deterioration might engender. In the 1987 English countryside, a former magician, the Amazing Clarence (Caine), is sent to live at a residence-turned-nursing facility run by the parents of Edward (Bill Milner), who resents having lost his home and bedroom to a group of senior citizens. Edward is an Arthur C. Clarke disciple consumed with investigating the afterlife via recording final breaths and holding séances. And director Crowley thankfully refrains from casting his 11-year-old protagonist as a precocious cutie pie or a morose sad sack, instead allowing Milner to unaffectedly express his protagonist’s reasonable disaffection.